The following Resolutions have been submitted for the 148th Annual Diocesan Convention: Resolution #1 The Episcopal Home Commendation Resolution #2 Loving Care of the Aging Resolution #3 Resolution Equal Gender Rights Resolution #4 Care of Creation Resolution #5 Racial Reconciliation Resolution #6 Evangelism Please see below for helpful information when drafting convention resolutions. Please click here for information that you will find helpful in drafting your resolutions and memorials. 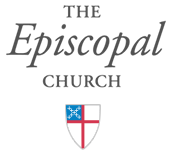 The requirements follow the rules of order of the Episcopal Church, and are designed to help make our work at Convention more regular, clear, and ordered. Please note page 3 in the resource material. If your resolution intends to change a point in the constitution or canons of the Diocese, it is handled through the Committee on Constitution and Canons, and cannot be submitted directly to Convention. The procedure is spelled out on that page, as specified in the Constitution and Canons of the Diocese of Central Pennsylvania. For questions, please contact The Rev. Veronica Donohue Chappell, Rector: Trinity, Jersey Shore and Chair, Resolutions Committee, with any resolution questions you may have; the Resolutions Committee will try to help you submit a resolution that does exactly what you intend for it to accomplish.